Do you balance your giving and receiving? This brilliantly layered and illustrated spiritual adventure was written for kids of all ages and may be a delightful reminder of the Harry Potter series. 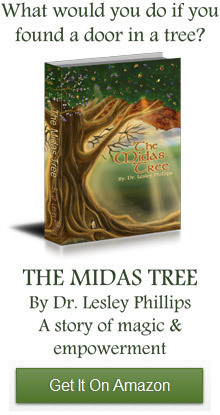 Like Harry, Joshua embarks on a journey of magic and empowerment, learning to cultivate his spiritual strengths by tackling various obstacles within The Midas Tree. His teachers are like fairy tale characters, so full of inspiration and love that by the time you reach the end, you'll want to start applying all the teachings.